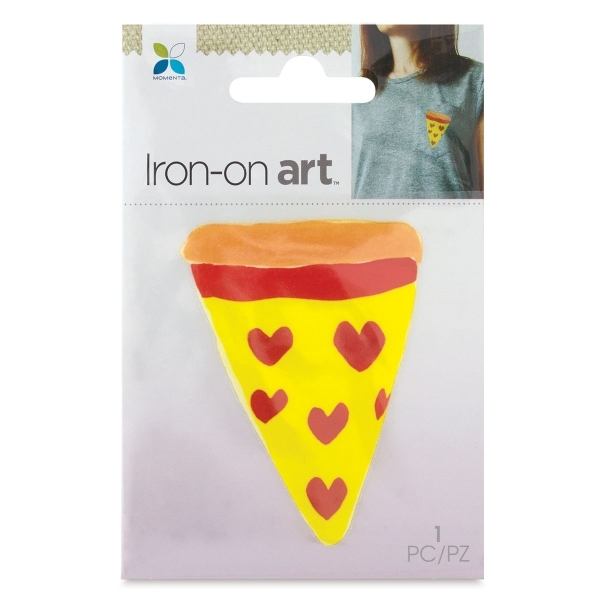 Embellish T-shirts, tote bags, and other fabric items with Momenta Iron-On Art. These iron-on appliques work with most fabrics (excluding silk). Simply apply with an iron for 20–25 seconds and let cool. ® Momenta is a registered trademark.™ Iron-On Art is a trademark.